The collage books begin as large blank-paged books that I bind by hand. Onto the pages of each book elements are then attached, based on my own photographs or found images, whilst other parts of the book are finely cut away by hand using a craft knife. 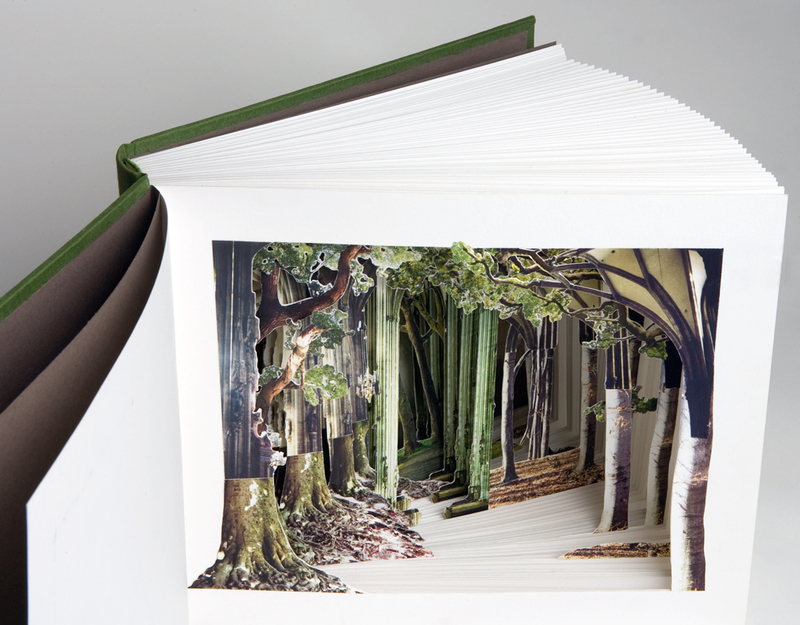 As a result, beneath the cover of the book, a large, intricate three-dimensional picture gradually forms - a paper world in miniature. The book always remains a book: all of the individual pages can still be turned, and by leafing through the book new elements of the collage are uncovered that on first glance were hidden from view. Click on a book below to see it open!